Dental implants require a great deal of training and experience to place correctly, but dental implant failure does occur. Sometimes, though, the cause of failure is preventable. Implant failure can result from shortcuts taken during the diagnostic phase, from inadequate imaging, and from incomplete medical information. Taking and evaluating a complete medical history is essential because many medical conditions can affect dental implants. Planning for dental implant placement is one of the most important parts of the process. A two-dimensional panographic x-ray is sufficient in the diagnostic and planning phase of many types of oral surgery. But it is important to use a 3D CT scanner to plan for the placement of dental implants. It allows our doctors to evaluate the quantity and quality of available bone structure, to visualize the shape and location of sinus cavities, and to see exactly where the blood vessels and nerves are within the bone. There are many companies that make dental implant fixtures, but only a handful of them have published peer-reviewed research studies that document the quality of their fixtures. Because of this, substandard fixtures can cost as little as a hundredth of the cost of fully tested fixtures. Many dentists are tempted to increase their profit margins, but the consequences often lead to failure. We use only the highest-quality fixtures in our implant restorations. Infections, loose implants, nerve impairment, and puncture of other body cavities can result from dental implant failure. Imprecisely placed implants can leave room for persistent infections. If the implant is placed where there is not sufficient bone structure, or if the fixture is substandard, it can become loose. Without the use of 3D CT scanning technology, dental implants can easily interfere with nerves within the bone, causing numbness, tingling, and pain. And sometimes dental implants are so poorly placed that they actually puncture sinus cavities. The most important consideration in preventing dental implant failure is the training and experience of the doctor you choose. Placing dental implants involves much more than is taught in dental schools. 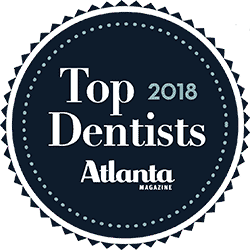 Therefore it is best to choose a practitioner who has invested the time and money in advanced postdoctoral continuing education in dental implants. If you would like to find out how you can avoid dental implant failure with Pumphrey Periodontics, please request an appointment or call our office.